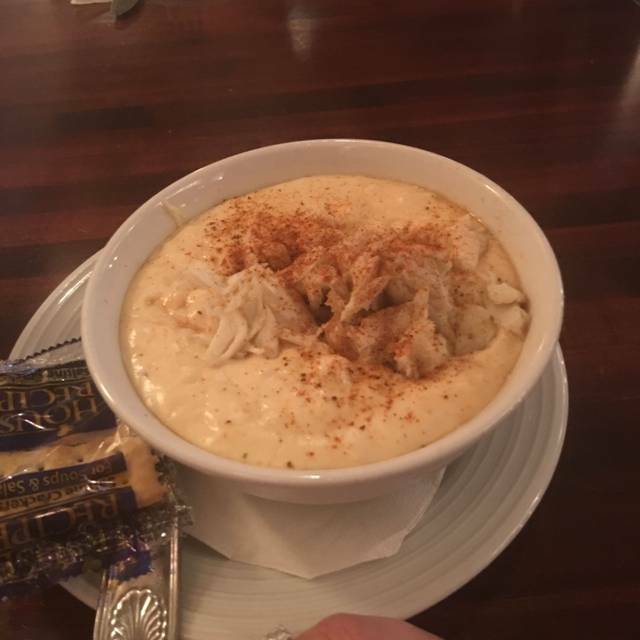 Since 1989, the Rams Head has served the freshest food possible, preparing each menu item from scratch, daily. Our steaks are aged Black Angus beef and we use fresh (never frozen) chicken, fish and crab. We are proud of quality of our food and our team philosophy- to provide you with the best service possible. 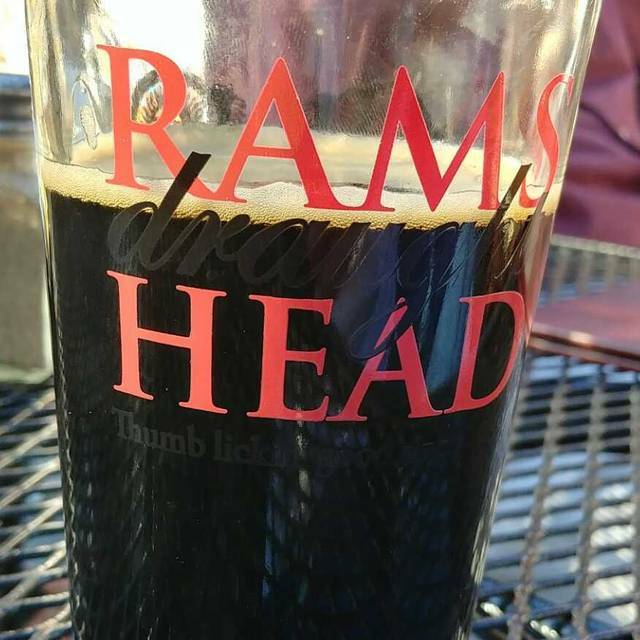 We are certain you'll agree that what makes Rams Head unique is our commitment to great food, great beer in a casual environment perfect for an afternoon with friends or a special affair. Our exceptional atmosphere is open 7 days a week, serving appetizers, lunch, dinner and a full bar as well as Sunday brunch. Plus, our entire menu is available for take-out. We hope you enjoy your visit with us and that we exceed your expectations! Corned beef, 1000 Island dressing, sauerkraut and Swiss cheese grilled on marble rye. Or, try it with turkey, coleslaw and muenster cheese for a twist! I've been to Rams Head Tavern in Savage about 5 different times and have always had a wonderful experience. The food is great, the service has always been prompt and friendly -- and the ambience is really special. The restaurant is located in a renovated warehouse with high ceilings and exposed brick walls. Can't wait to go back! A tasteful variety on the menu....the food is delicious and exquisitely prepared! Seating is comfortable and private as there are many booths in the restaurant. The prices are moderately high but reasonable for the selected dishes....which are quality! Overall we have dined here 3 times and have been fully satisfied with each experience. The service is not rushed and attentive to detail. We highly recommend it! Sat there for 25 minutes. No one bothered to come and serve us. Went up to one of the waitstaff and asked. They acted like it was no big deal and didn't even apologize. Got up and walked out. Always excellent quality and service, and value for the meal. Pretty quiet when we went (11:30 AM on a Saturday). I expect that changes later in the day. We went for Prime Rib which we had but two of the three that were ordered were raw instead of cooked medium. Asked them to cook them more, which they did...but it still wasn't right. Ate them anyway. I went for my birthday. The food was good and the service was pleasant and outstanding. I'm looking forward to having Sunday Brunch there. I enjoyed the food, location, value service here at Rams Head Tavern. I would be hesitant to refer my friends only because of one thing - it felt outdated. The Ambience of the dinning room. Instead of using plastic table clothes It would benefit you to invest in cloth tablecloths (black, white or burgundy). In addition to it being fair more attractive and would help to make it feel updated and inviting, and it is less of a bacterial (germs/food) issue, While you will have to change the tablecloths for each patron it is less likely that there is a bacterial or cross contamination issue from patron to patron. Example people with colds, or food allergies - if I am allergic to fish (shrimp) and someone drops fish or sauces on to the plastic it is there when I arrive. Unless you are cleaning your tables with clorox or anomia between patrons. Moreover, while we could hear the much excitement from Bar area upstairs it wasn't distracting. However, it would've been nice to have some subtle music upstairs. I know I will be back for the food for sure! Can't beat the location - Historic Savage Mill...food is decent. Wonderful place to dine but service was a little slow. 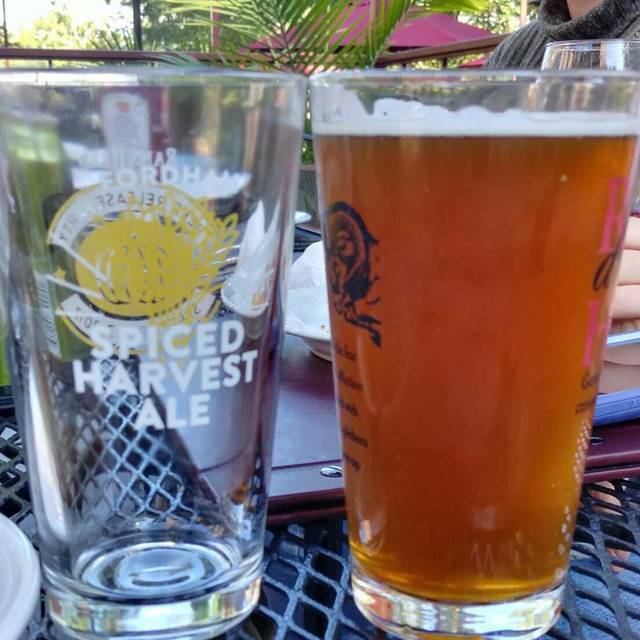 Delicious food, tasty beer, and great service! A classic pub/restaurant in a landmark venue. We had a fantastic time here. We sat upstairs in the dining room and our server, Richard, was wonderful. He was friendly and had great recommendations and timing. The food was SO delicious. We both had specials - bacon wrapped scallops over a fried lemon risotto and a ribeye with mashed potatoes. Every single bite I kept stopping to say, "wow, this is SO good!" The beer was great too, we will definitely be back!! Food is always good here. Creme Brulee was not fresh. The carmelized sugar was not crusted. They were pre made :( my host and server was excellent. Sunday evening visit. Maybe 5 tables to serve with no more than 4 couples per table. There was just 1 young and or inexperienced waiter. We were hosting a business associate from Canada. The service was slow and inattentive. The food was fabulous. Made a bad impression. We will return for the food and ambiance. Hardest working person was the female server who carried trays of food from the first floor up stairs. Great brunch with bottomless Bloody Mary’s, mimosas and good food! Jazz was a server and she was charming, attentive, and efficient. Food was good as always. We had a great time as usual. Classic place with great food and beer in a classic building. A real treat anytime! Food was just ok. We had a party of 8 people of which two people ordered the grilled chicken Ceasar salad and the chicken was ice cold. Sent it back and the chicken had been reheated and came back dry and not able to eat. The staff was friendly and courteous however there was 1 bartender trying to prepare drinks and wait tables= understaffed. Women's restroom toilet was not functioning and would not flush in addition to no paper towels. Great place to meet friends for lunch and watch Sunday afternoon football, especially when trying to watch more than one game at a time. They didn’t appear to have enough servers. That caused a delay a noticeable delay in service. Food was good though and the waitress was very responsive, even though understaffed. We had tasty pub food and good beer. Our server was great and responsive, but overall service was slow... which could be a good or bad thing, depending on your perspective. There was also a fire alarm (false alarm) ringing for a while, which didn't disrupt service but definitely made it hard to talk and disrupted the ambiance at the bar. Sunday Brunch has a delicious menu! We were pleasantly surprised at how good the breakfast was. We also enjoy their lunches, a nice selection of sandwiches, burgers and salads. In the summer the patio is quite nice with a view of Savage Park. We ate here on Thanksgiving. They offered a traditional thanksgiving dinner and other options on the menu. A couple things got mixed up but they made it right. With a dozen completly out if control kids at a near by party, this was more like being at a Chucky Cheese rather then a tavern. Kids were litterally running around everywhere. I think even the staff at Chucky cheese would have tried to control this.. But the Rams Head staff seemed oblivious. The food was good although came mostly cold. We went there for Thanksgiving Dinner. The restaurant was cold, so my boyfriend never took off his coat. No sooner that we got our soup the dinner was served. The food was cold. This restaurant is in a great setting, but they should try to improve on the whole experience. Pro: We went to Ramshead for our annual Thankgiving Dinner. The menu offered was specific to the holiday, and offered some alternatives besides Thanksgiving dinner with all the trimmings. The food was delicious. Atmosphere was quiet. Not that many people were there at the time we were there, lots of space. Our server was attentive and helpful. Servings were abundant, took food home. We were stuffed! Con: The temperature of the room was too cold. I had to put my coat back on to eat dinner. I also noticed others there wearing their coats and hats during their meal. What a great place for Sunday brunch. And who could pass up bacon bits with the Bloody Mary bar? I'm sure that we will all return. It's certainly worth the drive. The tavern proves a basic brunch service. Good but nothing special. We enjoyed our dinner at Rams Head. Dinner was good and the service was quite good. This restaurant is part of a mill that is over 200 years old. The building is beautiful and the restaurant is amazing. Always a good time. The food was awful!! Lobster was wet and soggy. They only had one and it’s the special for the day we went. Drinks were horrible. Bartender couldn’t make a mai tai or a any drink that wasn’t beer. Great service. The drinks were amazing. Love the outdoor seating area. Always great food, but service was a bit slow and inattentive this time. Definitely suggest sitting outside. It was beautiful and more quiet. Went for my Birthday and my husband, daughter and boyfriend joined us for dinner. After meal was done they surprised me with a big slice of cake.